Alex Oxlade-Chamberlain will definitely have a part to play this season for Liverpool. Jurgen Klopp (via James Pearce) says the Englishman will be fully training soon and should be available to play matches in March. We obviously know he’s not going to be rushed back, and will likely need some time to develop proper match fitness – but it’s great news nonetheless. 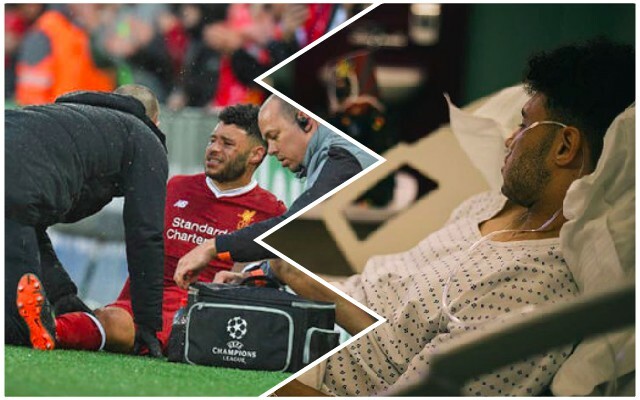 The phrase, ‘He’ll be like a new signing,’ is very annoying on the whole, but in the case of Ox, who last played in April, it’s probably apt! The midfielder was enjoying a tremendous run of form before a horrible injury struck him down, ended his season and his chances of competing in not only the Champions League Final but the World Cup as well. Ever since, he’s been on the arduous rehabilitation trail, but he’s running outside now and it won’t be long before a ball is at his feet. Despite the fact we’re leading the Premier League, there’s been times this term when our midfield has visibly lacked dynamism or the ability to drive towards the opposition backline in central areas – so the option of Oxlade-Chamberlain will be of great benefit.